Small, round oval fruit. Rough dark brownish russetted skin. Smooth, juicy, yellow flesh. Very sweet with excellent aromatic flavour. 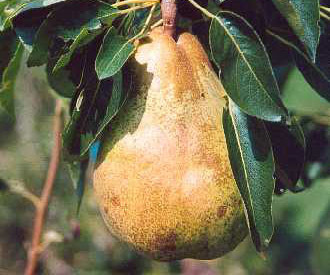 Can be used as a dessert pear as well as for cooking. Weak growing, upright tree. Fairly reliable cropping. Best grown in a warm location.